Two men, both in their early 20s, were arrested at the scene. 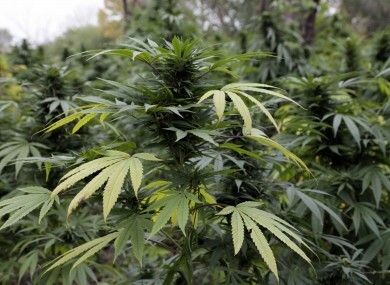 CANNABIS PLANTS WORTH an estimated €100,000 have been seized in Clare as part of an operation targeting drug dealing. Gardaí carried out a search of a house in Miltown in Tulla at around 10pm last night where they discovered the plants, along with objects designed to be used for the growth and cultivation of the drugs. Two men, both aged in their early 20s, were arrested at the scene. The two are being questioned at Shannon Garda Station. Gardaí said the scene at the house has been preserved to allow for a technical examination and the investigation is ongoing. Email “Gardaí seize cannabis worth €100k at Clare house”. Feedback on “Gardaí seize cannabis worth €100k at Clare house”.